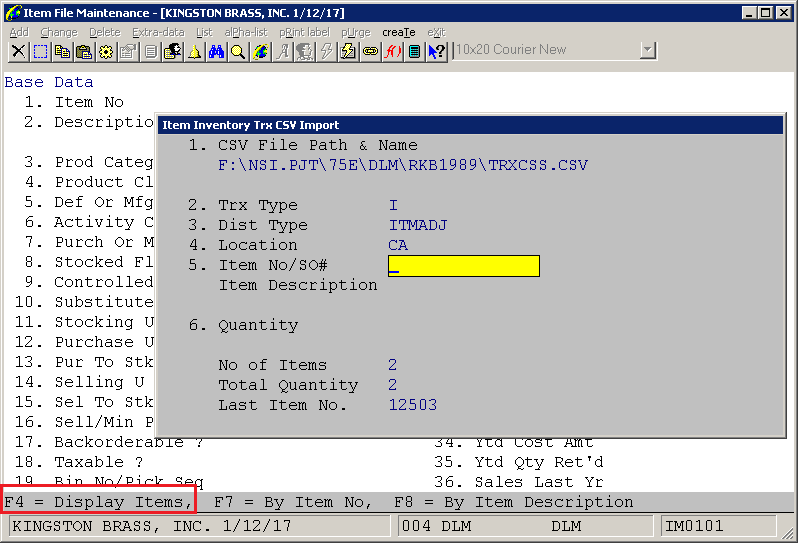 Added a function to IM / Maintenance / Item file / Create / Create Inventory Trx CSV Import to automate the receipt of inventory items thru returned inventory. This application also generates a report of all of information that was entered on the screen. 1) The Dist Type is required and cannot be blank. 2) When on the Item No/SO# field, you may press F4 to see transactions created to this point, enter a valid item number, or enter a sales order number. As of 4/25/17, you may also enter a number, from 1 to 99. The number will be understood to be the quantity. If no number is entered, the quantity will default to 1. The quantity field is no longer directly updated. 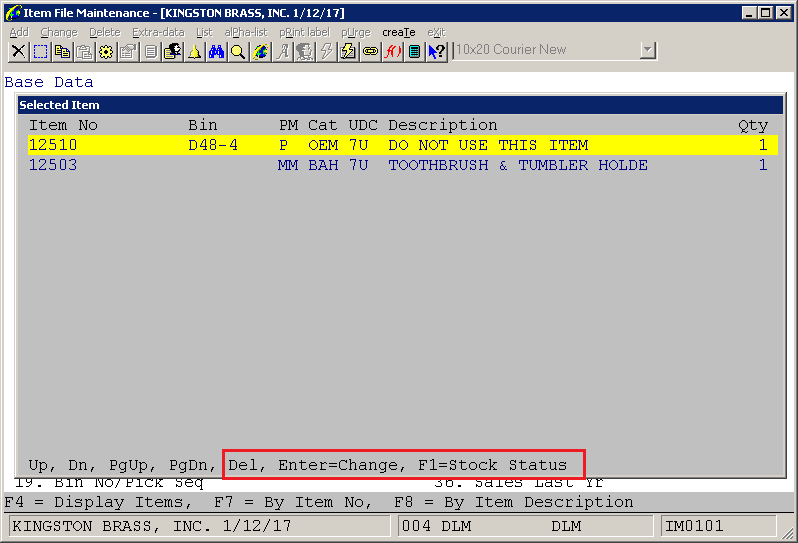 If a sales number is entered, a separate window will appear with valid lines for that sales order. See further explanation below. Pressing F4 on the Item No/SO# field will open this screen, which allows delete, change and F1 for stock status. and "Y" to create a transaction for each line item (multiple screens are possible). 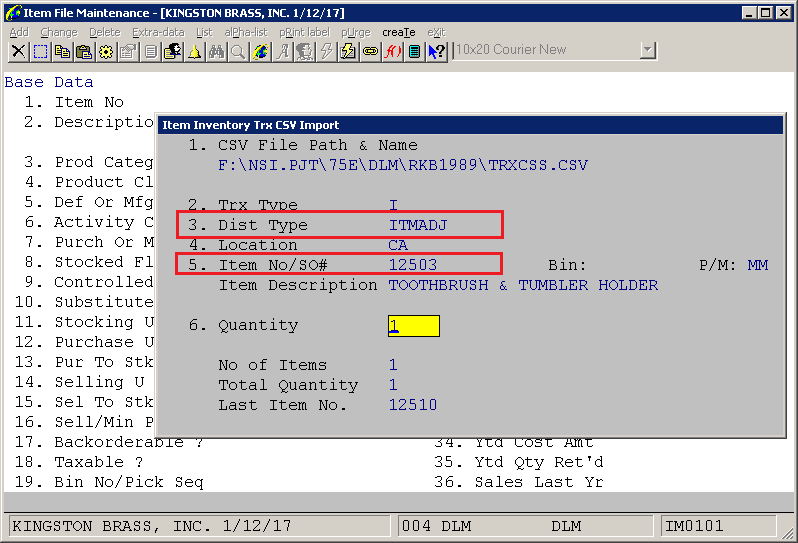 When using Multi-Bin and transactions are created, the bin will come from the item/inventory location picking sequence. If the user needs to use a bin other than the default pick bin, the created CSV file may be changed before importing the file. 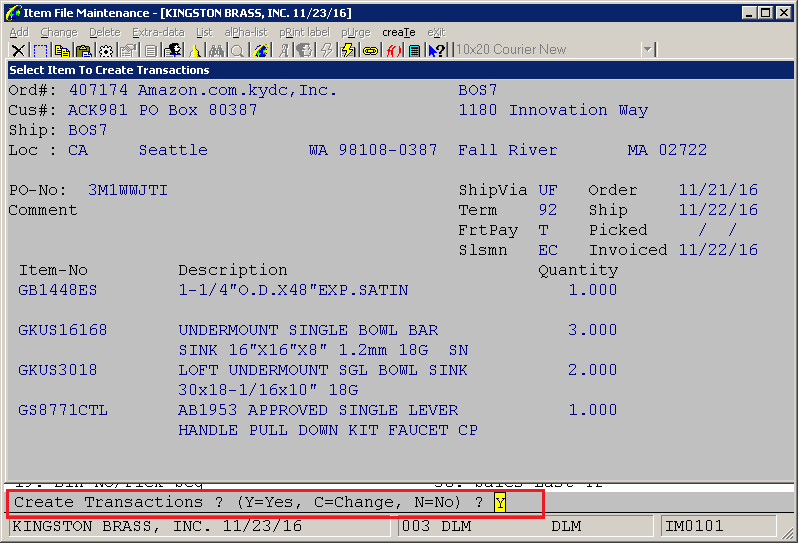 The created CSV file may be used as input to the IM / Processing / Inventory Transaction Processing / Import function. The report is that is generated can be printed in either entry or bin number order. This is controlled via Util-Setup-> Global Setup-> Dist-> I/M Global Control-> Screen 3-> 17. 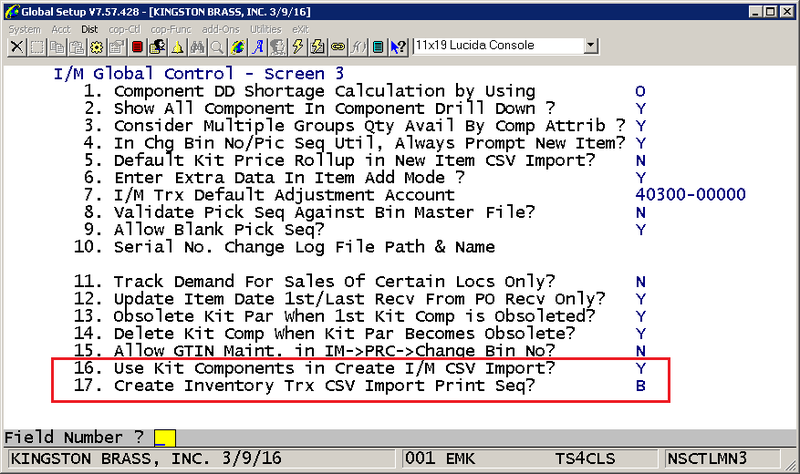 Create Inventory Trx CSV Import Print Seq. Valid options are E=Entry Sequence and B=Bin Sequence. The default is "E". 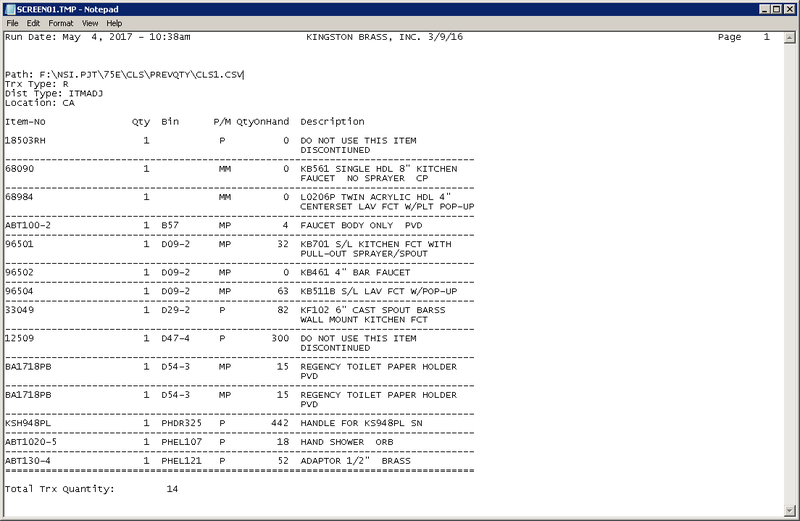 Here is an example of the report printed in Bin Sequence order.